There is something pseudo religious about going to a concert-a group of people congregating together to sing and dance for hours and emerging feeling buzzed having shared a fleeting, common experience. The pseudo religiousness is multipled ten fold when you throw in reggae and the blood of Bob Marley. 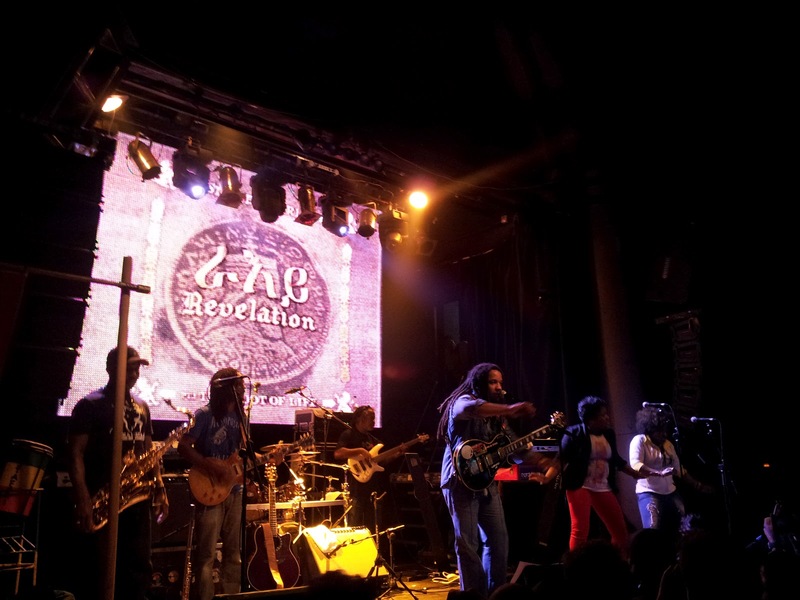 Stephen Marley came to town last week and put on a three hour revival of a show, giving the madrileño crowd everything they came for-irie vibes, groovy tunes, and hours of boogie. Backed up by a great band and the two most energetic backup singers I've ever seen, Stephen commanded the stage in a way that would make his father proud. Playing through the majority of his latest Grammy-winning album Revelation Part 1: The Root Of Life , Stephen also played a couple Bob jams (though always sped up strangely) and being a Marley concert, brought out his son Jo Mersa. I'm not much of a believer in general but I do believe that music has some healing power. Throw in reggae and the blood of Bob Marley and that increases ten fold.